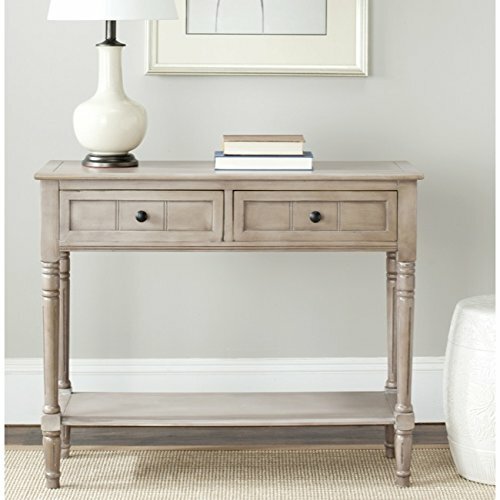 Update your home decor with the Safavieh American Home Collection Lexington Vintage Grey Console Table. The Lexington Console Table features a contemporary style and functional design. Constructed with a sturdy wood frame in a versatile grey hue, the Lexington Console Table will be a welcome addition to any room. 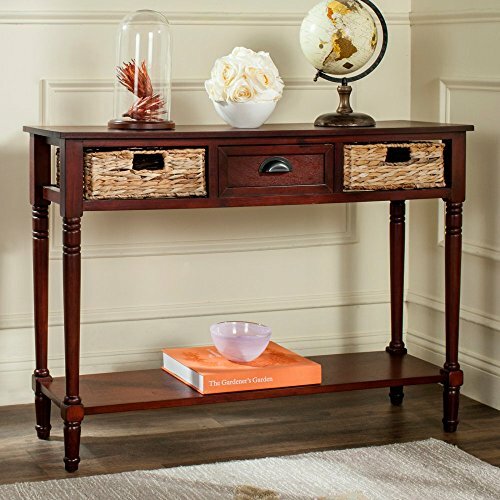 This console table features two pull out drawers, each measuring 4.7 -Inch high by 15.2 -Inch wide by 11 -Inch deep. Assembly required, this console table measures 35.8 -Inch wide by 13.8 -Inch deep by 29.5 -Inch tall. British Colonial styling is updated in the pretty and practical Corbin console with woven rattan pullout drawers. 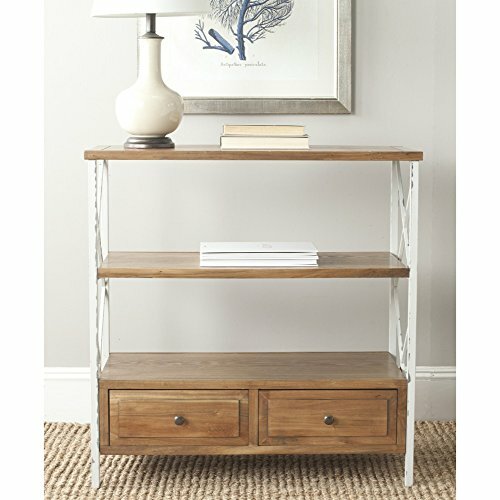 Pine in a grey wash finish creates the aura of a vintage find, in this gracefully turned piece with lower shelf for display or storage. Sleek and contemporary, the Wolcott lacquer console table makes for a grand entrance in the front hall and a dramatic statement in any room. Its lustrous taupe lacquer top appears to float on a base of hairpin-thin legs in black iron. Whether placed below a flat screen TV or adorned with accessories in an entry hall, the sculptural form of the Hollis console table appears to float in a room. 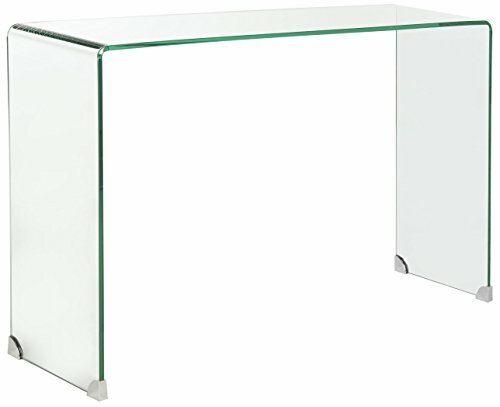 Crafted of clear tempered glass, this minimalist design has a shelf for remotes or magazines. Simple lines and purity of function lend a timeless quality to the Shaker-inspired Manelin console with tapered legs, three drawers and lower shelf. Crafted of white-washed elm to highlight the wood grain, this console is at home in myriad settings. 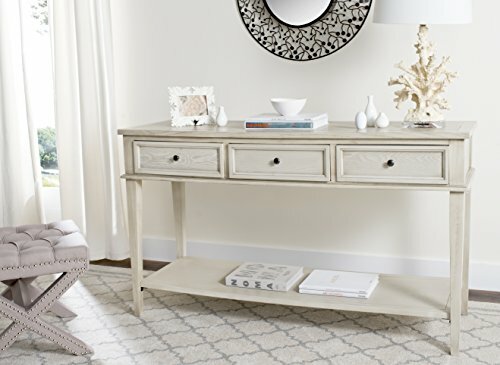 Country chic styling makes the Winfred console a welcoming statement piece for an entry hall. Crafted of pine in a grey painted finish, this hardworking console has a lower shelf and rattan drawers flanking a wood-faced drawer with half-moon pull. A welcome addition to an entry hall, living room or bedroom, the charming Salem pine console harmonizes with country cottage and coastal interiors. 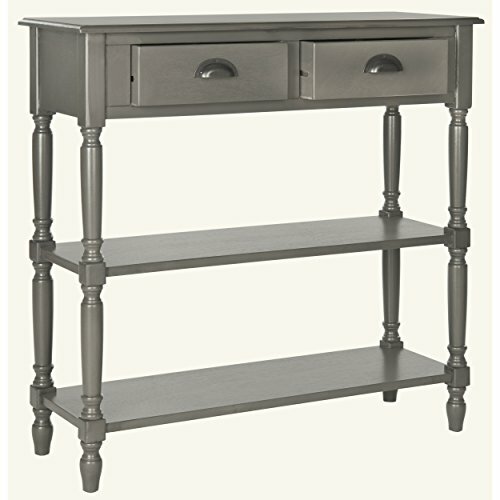 Crafted with a chic grey painted finish, this spindle-leg console has half-moon handles on its drawers. Romantics will fall for the feminine wiles of the Chandra console by Safavieh. Brimming with vintage charm, this piece is crafted with a distressed finish on its white iron X-frame contrasting its oak-finished shelves and drawers of pine and elm. Pretty and functional Chandra is ideal for coastal or country interiors. From coastal cottage to rustic lodge, this pretty vintage cherry console lends welcoming charm to an entry hall, and makes a wonderful focal wall in a living or family room. With rattan weave drawers and lower shelf, it is a canvas for accessorizing. 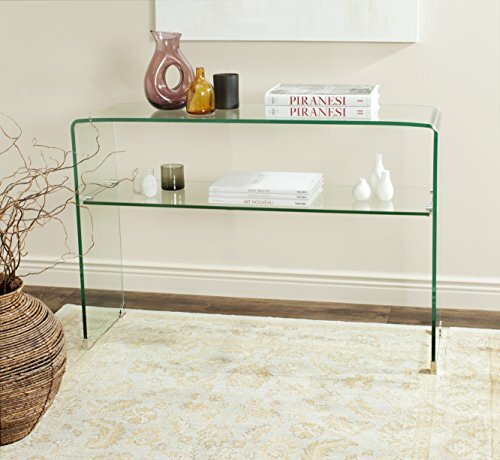 The epitome of minimalist chic, the classic Ambler console table is artfully formed from a single piece of tempered glass. Whether dressed up with accessories, or left unadorned as a sculptural form, its clear glass silhouette appears to float in a room. The Samantha console table by Safavieh Home Furnishings is beautifully displayed in this video presentation. For complete details see http://safavieh.com/furniture/consoles/amh5710c. See the contrasting light-finish wood top and charming framed drawers in the casual style of the Safavieh Aiden Console Table - AMH6502A - in this video presentation. For complete details see - http://safavieh.com/furniture/consoles/amh6502a. 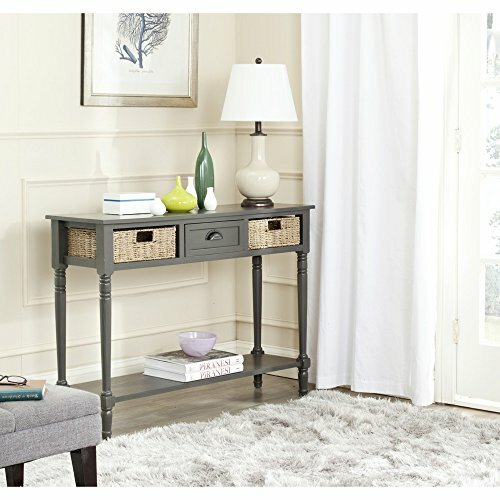 Compare prices on Safavieh Console Table at ShoppinGent.com – use promo codes and coupons for best offers and deals. Start smart buying with ShoppinGent.com right now and choose your golden price on every purchase.